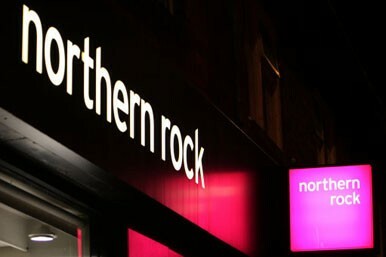 If there's one thing to be learned from the banking calamities of the past few years, it's that the phrase "As good as money in the bank" is perhaps not as rock-solid as it might be -- as we saw with the unfortunately named Northern Rock, which was the trigger that set the alarm bells ringing and presaged the near-collapse of some of our stalwart high-street banks. But we are well blessed in the UK, being under the cover of the Financial Services Compensation Scheme (FSCS), which celebrates its 10th birthday today. Providing you have no more than £85,000 stashed in any one eligible financial institution, should it go bust and lose your cash, you'll be compensated in full. And payments are usually pretty prompt -- the FSCS aims to settle the majority of claims against a failed institution within seven days. In fact, over the decade of its existence, the FSCS has paid out £26bn in compensation, to a total of 4.5 million savers who had lost money. The biggest chunk of that cash was, by far, the £15.7bn in compensation paid out to 3.6 million Bradford & Bingley customers in 2008, but there were further billion pound plus sums handed over, including £2.6bn for customers of Kaupthing Singer & Friedlander Edge, and £1.4bn to cover the Icesave disaster. But as long as you managed to avoid those notable disasters, you'll be okay, yes? After all, collapses like these are few and far between, aren't they? Well, such big ones are indeed rather uncommon, but since the FSCS started in 2001, a staggering 2,528 firms covered by the scheme have gone bust, the great majority being financial advisors. The chances of being caught in such a failure sometime during our lives is not as remote as we might hope -- after all, how many people had money in the big names like Lloyds TSB when it came so close to the edge? So what should be do if we're afraid of losing our hard-earned savings? The important thing to do is not panic and stash sacks of cash, gold or whatever under our beds -- a surprisingly large number of people do actually hide the folding stuff around their homes. No, it's much safer to have your precious savings in an account that's protected by the FSCS guarantee. The £85,000 maximum currently payable (which is up quite considerably from the £31,000 limit at the time of the run on Northern Rock) applies to any one individual institution. So if you have more than that saved then you should spread it across several accounts, and if you make sure they are genuinely independent and not classed as part of the same institution, you'll get that amount of cover for each one. You can find lots more information at the FSCS website, which should be essential reading for anyone with significant sums of money saved. And finally, happy birthday FSCS -- without you, a lot of people's financial lives would have been ruined.